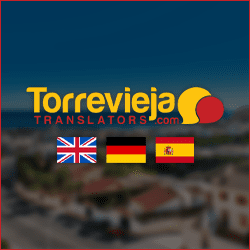 The coastal city of Torrevieja is an ideal destination for visitors using air travel as it enjoys the services of 2 nearby international airports. Alicante airport is around a 40 minute drive from the city and the smaller Murcia airport, less than 30 minutes. Many holidaymakers and those visiting on business choose to hire a car from one of the large international car hire companies based in the airport terminals. 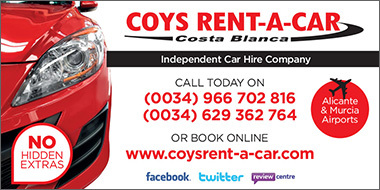 Others may use the services of one of Torreviejas smaller independent car hire companies which tend to be cheaper, but beware of any hidden charges such as insurance, additional driver costs, mileage restrictions and fuel costs. There is a reasonably sufficient bus service within the city that offers various routes to and from the outer lying residential areas, but all the information, timetables and bus routes are in Spanish and the majority of bus drivers do not speak English which can get confusing. 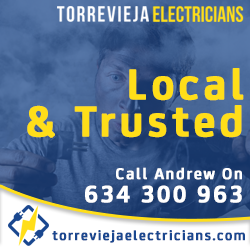 If your accommodation is in the city centre then many of Torrevieja’s beaches and attractions are within walking distance so you can enjoy your entire holiday without needing to hire a car. The down side of this is that you will be missing out on the beautiful countryside, beaches, mountains and lakes that surround the city and can only be reached by car. There are taxi’s of course but they all know the problems holidaymakers face with the bus service and therefore their prices are high. Hiring a car from one of the international companies at the airports is a relatively simple process but there are a few things you should bear in mind. Many of the cars in Spain are manual transmission so expect to pay quite a bit more for an automatic. If you plan on a lot of touring with passengers and luggage, especially in the mountainous areas, make sure you choose a vehicle with a suitably powerful engine. Visitors during the peak summer months should book their hire car in advance and this applies even more so if you want an automatic transmission. Ask in advance for additions such as child seats or roof racks and check if roadside assistance is included in your hire purchase. If you are not presented with a vehicle diagram in order to check for any damage or defects, ask for one and insist you are accompanied by a representative of the company during your vehicle inspection. Note any damage you may find such as scratches or dents and make sure the representative signs the form on completion of your inspection. If you find any major faults that may get you stopped and fined by the police, ask for another vehicle or insist that they carry out the repairs before you sign your contract. Finally, read all the fine print and ask for an explanation if there is something you don’t understand.